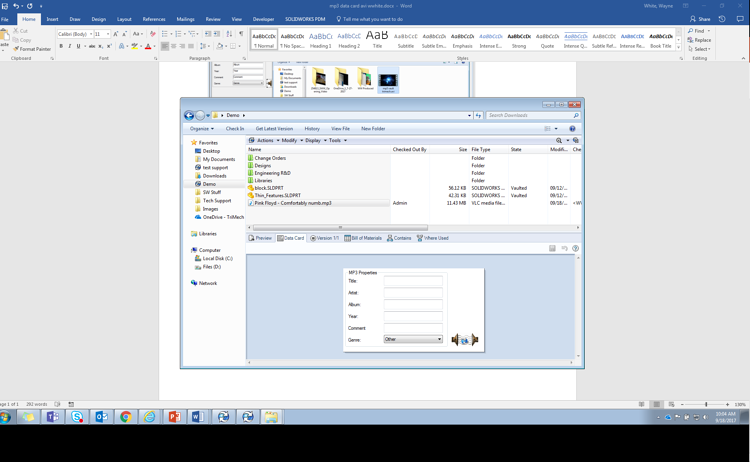 The ability to include videos in your data cards is a possibility with the SOLIDWORKS PDM product. However, we must be smart with the size and quality of the video while using this feature. The nature of this article is to uncover what workflow makes this a possibility. 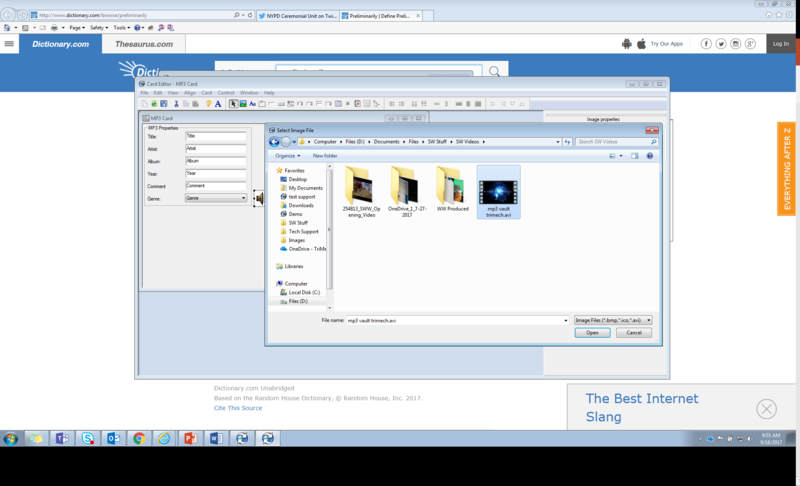 We all know how to get into a file format’s specific data card via the Admin tool. While inserting an image, we can see the acceptable file formats include BMP, ICO and AVI. So, what is AVI you ask? The video format AVI stands for Audio Video Interleave. Many applications still look for the AVI format inherently. For this example, I am creating a card for mp3 files. 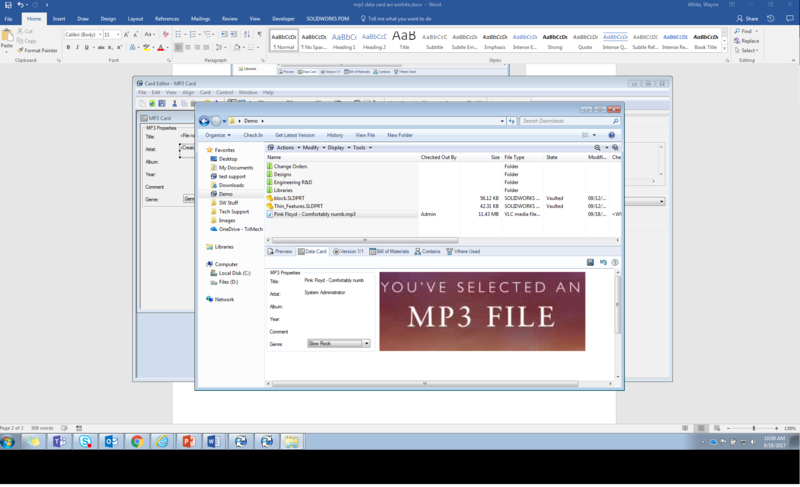 The goal is when we select an mp3 format and data card in Windows Explorer, we would get a video that would tell us what type of file was selected. The following screenshot shows a static image of a generic mp3 file type. For this purpose I created a simple, ‘you selected an mp3 file’ loop via Apples iMovie software. Retrieving the video isn’t terribly difficult. Finding the right codec on the output is a bit fickle, but how bad do we want this video in our data card? Many of you would likely say not very, but if the file size isn’t too high, and the quality not too low, it’s not the worst idea. Once the video was created, CamStudio can be used to convert this to a working AVI file that SOLIDWORKS PDM Professional recognizes. Now the selection of the mp3 file in the vault plays a looping 10 second video. Done and done. For information on how to connect SOLIDWORKS PDM to other systems, download our white paper!